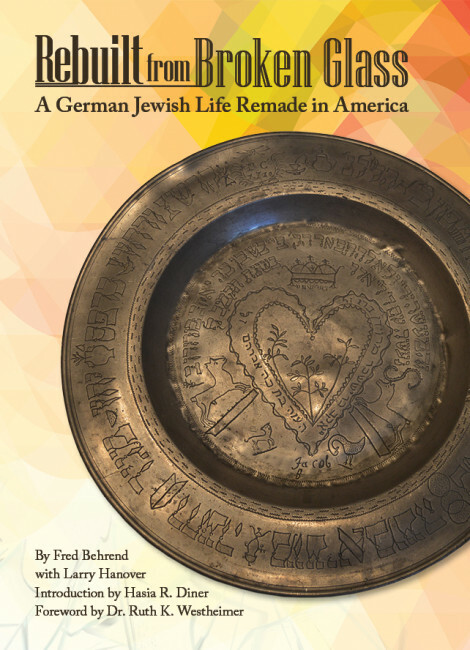 Symbolized by a three-hundred-year-old Seder plate, the religious life of Fred Behrend’s family had centered largely around Passover and the tale of the Jewish people’s exodus from tyranny. When the Nazis came to power, the wide-eyed boy and his family found themselves living a twentieth-century version of that exodus, escaping oppression and persecution in Germany for Cuba and ultimately a life of freedom and happiness in the United States. 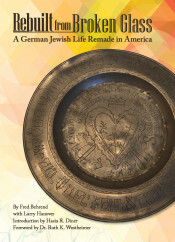 Behrend’s childhood came to a crashing end with Kristallnacht (the Night of Broken Glass) and his father’s harrowing internment at the Sachsenhausen concentration camp. But he would not be defined by these harrowing circumstances. Behrend would go on to experience brushes with history involving the defeated Germans. By the age of twenty, he had run a POW camp full of Nazis, been an instructor in a program aimed at denazifying specially selected prisoners, and been assigned by the U.S. Army to watch over Wernher von Braun, the designer of the V-2 rocket that terrorized Europe and later chief architect of the Saturn V rocket that sent Americans to the moon. Behrend went from a sheltered life of wealth in a long-gone, old-world Germany, dwelling in the gilded compound once belonging to the manufacturer of the zeppelin airships, to a poor Jewish immigrant in New York City learning English from Humphrey Bogart films. Upon returning from service in the U.S. Army, he rose out of poverty, built a successful business in Manhattan, and returned to visit Germany a dozen times, giving him unique perspective into Germany’s attempts to surmount its Nazi past. Born in 1926, Fritz Bernhard (now Fred) Behrend is a retired businessman and noted raconteur who frequently lectures on his experiences during and after the Holocaust. Behrend was twelve when his family fled Germany after his father’s arrest and detention in the Sachsenhausen concentration camp in 1938. While serving in the U.S. Army, Behrend’s skills as a translator led to positions overseeing captured soldiers being retrained to lead postwar Germany, as well as working with Wernher von Braun, the eventual catalyst for the U.S. space program. Behrend later owned a successful air conditioner and television business in New York. He lives in Voorhees, New Jersey. Larry Hanover was an award-winning reporter and editor for The Times of Trenton (New Jersey). He has written on subjects as diverse as the anthrax crisis after the 9/11 attacks, education, politics, and professional sports. Hanover currently works as an editor and writer and serves on Temple University’s adjunct journalism faculty.